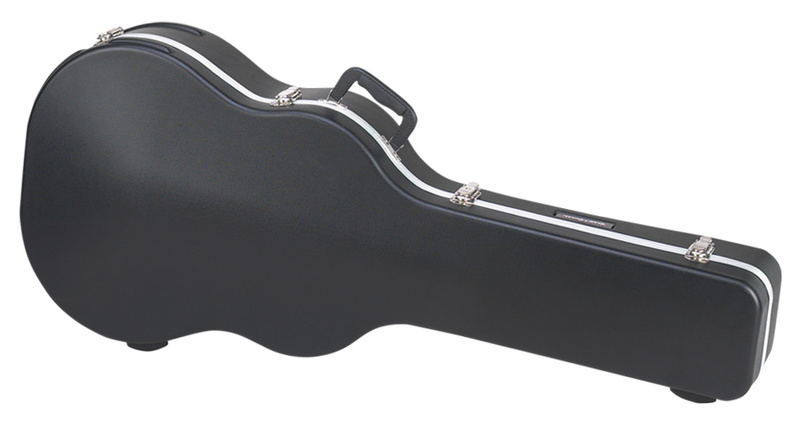 The Road Runner RRMADN ABS Molded Acoustic Dreadnought Guitar Case boasts a hardened, roadworthy, molded shell; nonslip rubber feet; and locking, riveted closures with Tab-Lock latches. Inside the guitar case is a high-pile, plush lining; an oversized accessory compartment; and a design that allows for variously shaped guitars. An offset handle provides better balance for easy transportation. 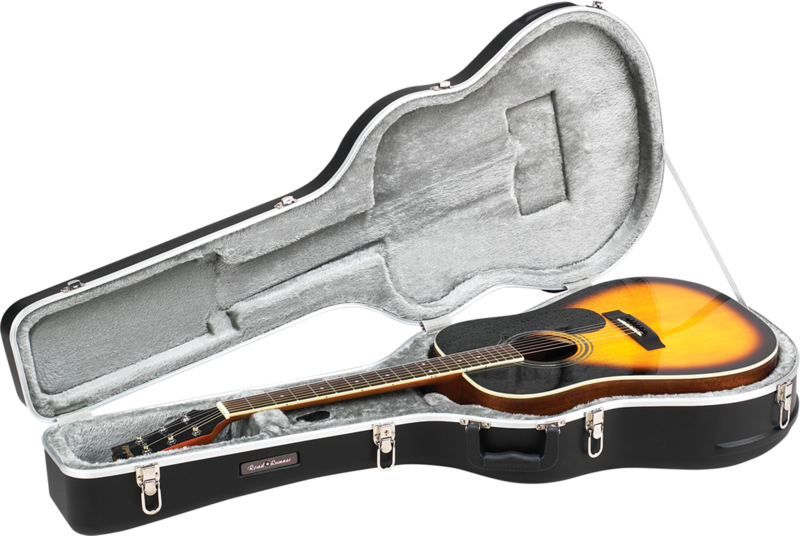 The Road Runner RRMADN case fits dreadnought, classical, electric (including LP and Strat), and deep and shallow round-back guitars. The soft, plush interior protects your dreadnought from scratches and nicks, plus Road Runner uses a special, eco-friendly, dye-free material, which eliminates the release of polluting bi-products into the environment.